At Walton Blvd. 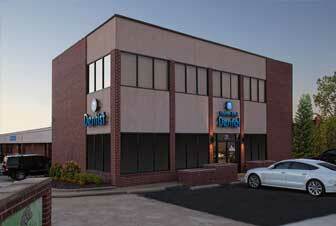 Dental, we focus our general dentistry on each patient’s individual needs. We emphasize developing good oral habits, as well as routine exams and cleanings to keep your mouth healthy. Our approach sets you up for a future of healthy, strong smiles that look and feel great. Your comfort and care is our top priority. We are so passionate about providing you routine exams to promote a healthy mouth that we offer affordable dental programs for those not covered by insurance. 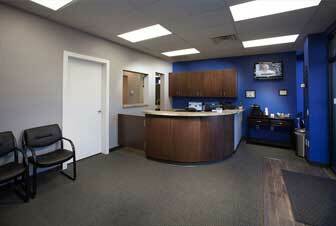 We perform comprehensive exams for all new patients, and bi-annual exams for returning patients. 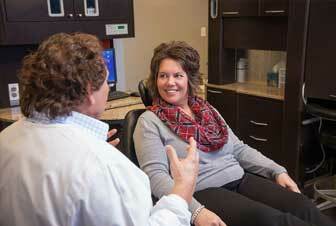 We address every aspect of your oral health during your exam, from an oral cancer screening to periodontal evaluation. Our exams are patient focused, and allow us to create a specific treatment plan for your unique dental needs. Getting screened for oral cancer can save your life. Our visual and manual screening methods detect precancerous, cancerous, and abnormal tissue inside your mouth. Early diagnosis is essential to successfully treating the disease. Use of tobacco and alcohol products increase the risk of developing oral cancer, however, anyone can be diagnosed, so screening is important. We offer high-definition, digital x-rays which reduce your exposure to radiation and give the dentist the best view of your mouth. Panoramic x-rays expand the image to get a complete view of your jaw, tooth development, and bite. 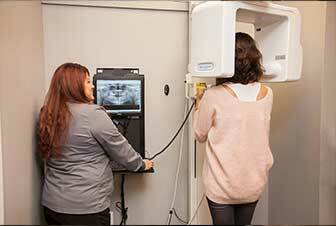 We suggest updating your x-rays every six months to track the health of your mouth. Maintaining good oral hygiene is essential to having a healthy mouth. Regular professional cleanings by our skilled hygienists remove buildup and plaque that can cause decay. We use Cavitron magnetostrictive scalers to deep clean your teeth and keep your smile bright and healthy. Visit us today to see how clean your mouth can feel! Gum disease is the number one culprit of adult tooth loss. We take a proactive approach, using a combination of periodontal therapies, to ensure that your gums stay healthy. We use root scaling and planing techniques, along with the addition of Arestin antibiotic treatment, to kill bacteria that may trigger gum disease. Do you experience painful sensations while drinking or eating hot or cold items? If so, fluoride treatments may help. Fluoride helps restore essential minerals to your tooth’s enamel and wards off decay. We provide fluoride treatments to both children and adults at every visit to fight cavities and sensitivity, and keep teeth strong. You put a lot of work into your teeth, so you want to protect them from unnecessary wear. Our custom-fit mouthguards are the ideal solution for nighttime grinding. Ask us how wearing a night guard can save your teeth and alleviate jaw and muscle pain from bruxism. Mouthguards can also protect your children’s teeth during sports and various other activities. You deserve to be comfortable during all of your treatments, which is why we offer nitrous oxide as an option to keep you calm and relaxed. The effects of nitrous oxide wear off once the gas is stopped, meaning you can easily return to your regular daily routine when you leave our office. Searching for ways to get a better night’s sleep? Ask our staff how dental care can help reduce sleep apnea symptoms. We can recommend snore guards for obstructive sleep apnea sufferers, or even recommend a qualified CPAP specialist. No one anticipates a dental emergency. In fact, we hope to keep your mouth healthy so you never have to experience one. However, we understand that things happen, and should a dental emergency arise, we’ve got you covered. We’ll help you identify your needs and ask questions to determine the nature of the emergency. 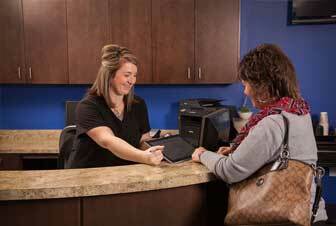 When needed, same day appointments are available. Call our office today at 479.273.3757.